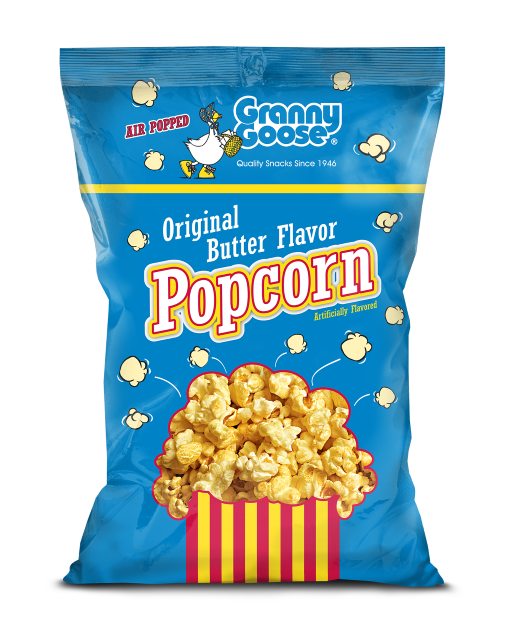 Granny Goose® has been producing quality snacks since 1946 and is committed to creating fun and wholesome snacks for all occasions. We gently toss our freshly air-popped popcorn in a richly flavored country-fair-worthy, seasoning. A recipe to delight your senses.